You become financially free when you can stop working for money and when money starts working for you. That’s financial nirvana — and this book shows you how to achieve it. The book takes you on the liberating journey from financial slavery to financial freedom. 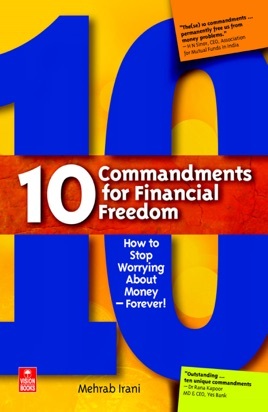 It contains 10 commandments for wealth creation and wealth preservation which lead to financial freedom. Step-by-step the book helps you fully understand money and its fascinating, elusive behavior, including the best ways to earn, invest, protect, budget, save, spend and multiply your money. It uncovers the unique rules of money and highlights the common financial mistakes which may be stopping you from becoming rich. ● How to make money from "thin air"
● How to protect your money from financial predators.